As there are more online customers than ever, many businesses are trying to expand their operations with an e-commerce store. When starting an online store, business owners are presented with an endless selection of available e-commerce platforms. It can be tricky to select the best shopping cart solution for each business’ online store. No two business will have the same needs and your own selection will depend on a number of factors, including your goals, budget, and experience. Using the right shopping cart will make more of a difference than most people think. Many open source e-commerce platforms have gained a lot of traction due to their low investment cost and many features. Open source software can be customised to fit specific needs and there are no monthly fees. They usually also come with a pool of experienced developers that will help you edit and improve your online store. 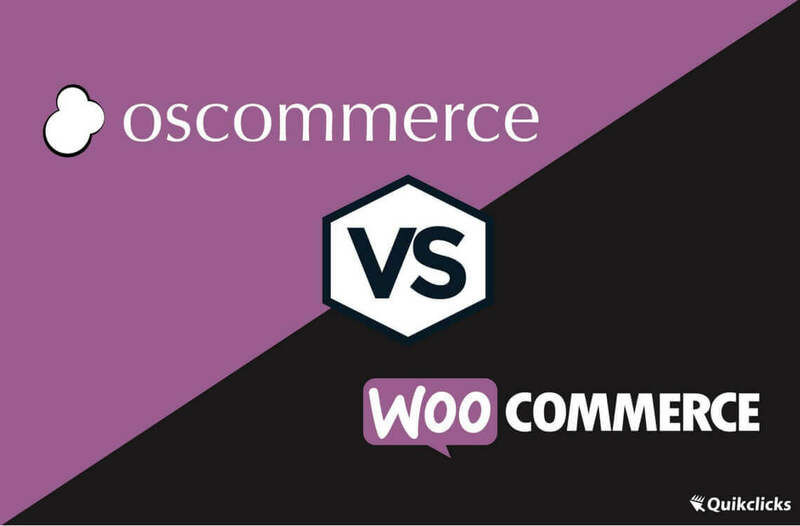 Without a doubt, WooCommerce is the most popular e-commerce platform in the world. It was developed by WooThemes, a well-known theme design company. WooCommerce can be a no-brainer since it is designed to work perfectly with WordPress. You can add the WooCommerce plugin to your existing WordPress website with a single click and start selling your products. WooCommerce was established in 2011, and it was recently acquired by Automattic, the company that is behind WordPress. At this moment, WooCommerce powers more than a third of all e-commerce websites in the world. WooCommerce offers an array of features and benefits and it is completely free to download and use. It is a perfect solution for store owners who are inhibited by the monthly recurring fees charged by other platforms. If you are an existing WordPress user, you will likely feel right at home while using WooCommerce daily. The plugin is nested in the familiar and relatively simple WordPress dashboard. Everything is pretty straightforward and there’s little in the way of a learning curve associated with it. WooCommerce is great for stores of any size. Your only concern should be finding the right hosting that can keep up with your needs as you grow! OsCommerce (“Open Source” Commerce) is a German-based e-commerce platform that allows online stores to be created quickly. It is an open source solution under GNU general public licence, so it is completely free to download and use. It is one of the earliest platforms, but just because something is old doesn’t mean it is the best! Many users attest that it can be needlessly frustrating. Despite these complaints, it can appear OsCommerce haven’t made any big steps to improve things. On the other hand, it does have a very large library of add-ons so you’re very likely to find anything that you need. OsCommerce has seen better days. Importantly, it has been compromised by many hackers over the years. Even though they’ve patched the security holes, you would be wise to invest in extra security for your website. Even though OsCommerce offers thousands of add-ons, you’d be underwhelmed by most of the aspects that it has to offer. OsCommerce can be a decent solution if you want to test the waters of an ecommerce store. There is some evidence that there can be problems when it comes to reliability and scalability of OsCommerce. When your product count gets to a higher number, you are likely to notice technical difficulties. Since it is a WordPress plugin, it doesn’t have any design traits on its own. The design is left to your WordPress theme. WooCommerce integrates with any WordPress theme (provided that they follow standard best practices). This means that you can install virtually any WordPress theme and make it work with WooCommerce. You also have the option to install WooCommerce specific themes. These can make it easier for you when you need to apply updates to your store. These themes are priced from $39 to $140 and you also have the Storefront which is their signature free theme. Storefront is a great theme considering that is free and WooCommerce has upgraded the visual editor last year so you can change the look of your online store without touching any code. You can also get a child theme to further customise the look of your store. At last look, these are available at $39 a piece. Since WooCommerce is open source, there is no limit to the level of customisation that you can do. Usually, you will be able to do all the basic customisation by yourself which will cut down your costs. You won’t have to hire a developer for everything like you have to with OsCommerce. 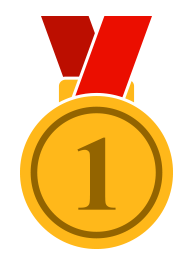 The design is one of the major flaws of OsCommerce and it is nothing to brag about. You can adjust basic things like columns, headers, and footers, but the rest of the customisation will require an experienced designer to make it work. What’s even worse is that even your tech team will have big trouble performing customisations as it can take many steps to complete various changes that would happen instantly on WooCommerce. 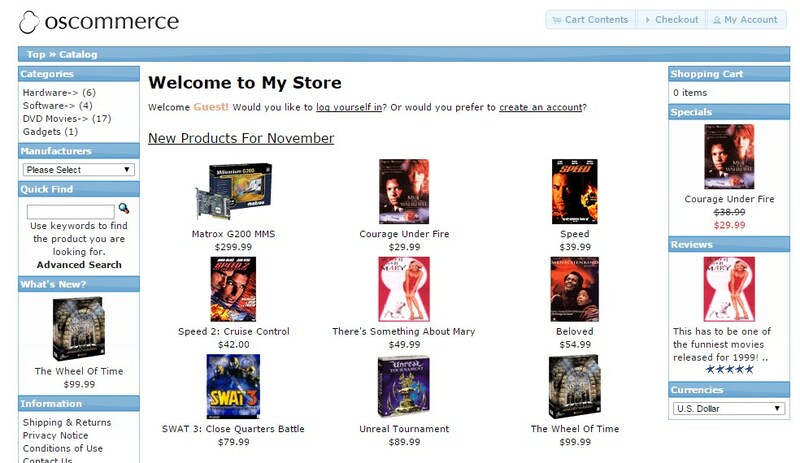 The dashboard in OsCommerce looks very outdated and it has a feel of an old-school operating system. Because you will spend many hours in the backend of your online store, you’ll want to choose an e-commerce platform that has not only visually appealing design but also an eye-pleasing and easy to work with backend dashboard. If the design is of any importance to you (and it should be), then you’d want to stay away from OsCommerce. Look of OsCommerce feels very dated and looks like something from the 90’s. Same goes for the backend admin as it is far from appealing. On the other hand, WordPress and WooCommerce offer an endless choice of free and premium themes that just look amazing and that are also mobile optimised and stable. You won’t have any problems with updating your theme or store like you will with OsCommerce. The way WooCommerce and OsCommerce make their money is through all the extras like themes and plugins that you will purchase as you build and grow your online store. Because of this, you need to consider your future needs. WooCommerce is a free plugin for WordPress that you can install and use without any recurring fees. Neither WooCommerce or WordPress will charge any additional transaction fees. This doesn’t mean that it is free of all expenses. Firstly, you’ll need to purchase hosting for your WordPress website (if you don’t already have a running website), which will cost from $5 per month and up, depending on the specs of the server. Next, you’ll also need to buy a domain name which is usually around $10 per year. These are all basic expenses that you would have with any website and this applies for OsCommerce as well. Besides this, there are various plugins and extensions that you’ll need to install when you are setting up your store and when you want to add some new functionality. They are one time payments and are usually around the $50-80 mark which is way less than the competitors. Finally, getting a good looking theme can cost you some more but you can always check out some of the free themes as many of them are very good. OsCommerce is open source, so the software is completely free to use. As opposed to some other carts that require a recurring monthly payment, OsCommerce won’t cost you a dime. Before you get excited, you should know that you’ll need to open your wallet before your store is fully functional and running. Unless you are an experienced developer and know PHP and other languages inside-out, you’re going to have to hire a professional developer and also a designer to build your store. You will also have to pay for a quality site security and a merchant account in order to process credit card orders. You knew it was coming. One of the best things about WooCommerce is that it offers plenty of features but without breaking the bank. Since it is free to use and there are no monthly recurring fees like on other shopping cart solutions, WooCommerce comes out as a more affordable option. This is also because you can do most of the things by yourself without having to hire a developer and that will really keep the running costs down. If you go with OsCommerce, you will likely have to hire a full-time developer as every little thing needs to be configured by a professional because of how complex and confusing the platform is. Of all the e-commerce solutions, WooCommerce is definitely one of the easiest to use. 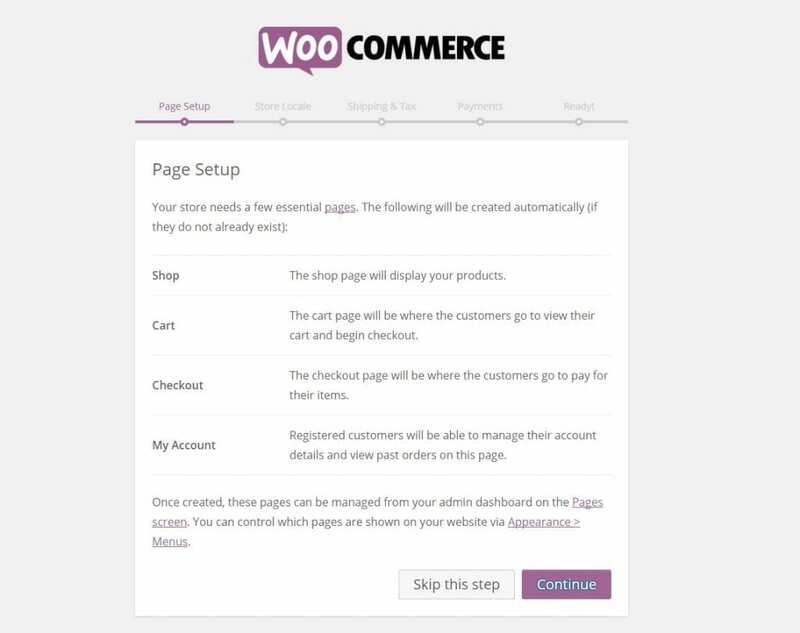 After you install the WooCommerce plugin, you will be presented with a few step setup guide and it’ll take you through the most important sections of your store, such as shipping and payments. 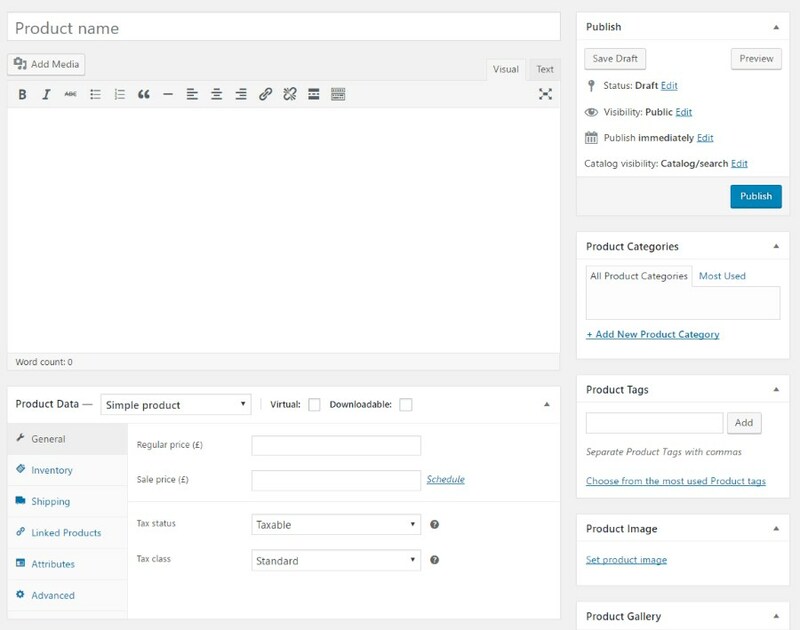 After that, you are ready to start adding products through a familiar WordPress panel. You will notice how everything integrates seamlessly with WordPress which is great for people already familiar with it. WooCommerce installs like any other WordPress plugin – you just need to search for it, click install, and then active. It sounds really simple, right? Well, it is. You can access everything from your WordPress dashboard, including orders, product information, inventory, and shipping settings. WooCommerce specific actions like adding products are just as easy as adding a simple page on your WordPress website as you can see from the picture above. It’s not exactly easy to install Oscommerce, and even developers report that they are sometimes struggling with some of the aspects of it. User tools feel very dated when compared to elegant dashboards offered by other e-commerce platforms. Keep in mind that different versions of OsCommerce are not necessarily compatible with each other, so you may have to start from scratch if you upgrade. After you spend some time in the admin dashboard, you will be struck by how light it is. You will see that is not bloated down, but this is not necessarily a good thing. It lacks some of the important elements that are found in WooCommerce after you install it. As you can see, the interface looks like something from the ‘90s and it is not appealing at all. Important options might be there, but the looks aspect is lacking, especially when you compare it to WordPress and WooCommerce. Just from the look of the OsCommerce interface, we can see that WooCommerce wins this round. Little things like customisation and changing image placement in OsCommerce can end up taking hours of your time. WordPress interface is much more modern and intuitive. It is a breeze to use. Even if you are a complete newbie, you will learn how to use WordPress and WooCommerce in no time. Since it is an open source solution, the support will be somewhat limited. 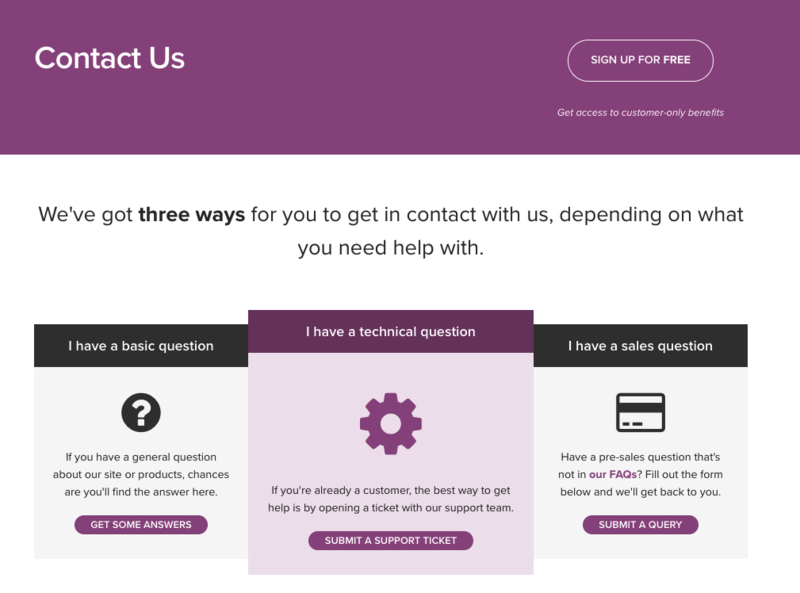 You won’t have the option of live chat, email, or a phone but WooCommerce offers many self-help options. Forums are a great place to get help and the entire WordPress community is at your disposal. There is also a thorough documentation that is likely to answer all your questions. Besides that, you also have plenty of video tutorials available. WooCommerce also offers a fantastic support ticket system so you can go ahead and submit a ticket if you get stuck even after reading through the documentation. Usually, they reply within 2 business days. 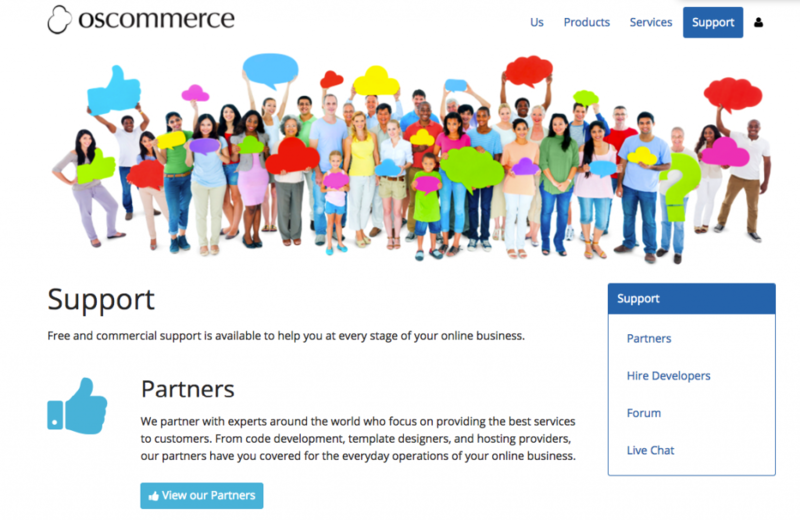 OsCommerce offers a Community Sponsorship package which is their version of customer support and it costs $65 per year. Their support is available Monday through Friday. Besides that, OsCommerce has a pretty active forum where you can have your questions answered free of charge. Documentation is also available where you are likely to find the answer to your question. Since OsCommerce is built on PHP and MySQL, your developer can easily find help on the web. They also have a Facebook and Twitter account but they are not really active on either social network. OsCommerce offers support but you have to pay for it. On the other hand, you can always submit a ticket to WooCommerce team for free. Besides this, nothing can beat the huge WordPress community that is very active and helpful. The latter is a much more popular solution so finding help will be much easier. All the core features of WooCommerce come with it. You can basically start setting up your online store the way you like it straightaway. If you need any advanced checkout or shipping features, then you’ll have to get some plugins and extensions. The plugin also comes with a mobile friendly design out of the box. This means customers can shop on their mobile devices. It has a one-page checkout system to increase the conversion rate and the pages don’t need to reload when someone adds a product to the cart. You can organise your products into categories and add different variations of them. WooCommerce comes with an inventory management system, so you can track your stock level and perform any related tasks like hiding products that are out of stock or holding stock when an order is canceled. There are five payment gateways including PayPal, direct bank transfer, and cheque, but you can add more through extensions (like Stripe and Braintree). You can take advantage of a wide range of gateways to accept cryptocurrencies, credit cards, or even cash on delivery. WooCommerce also handles recurring payments well so you won’t have to manually process each payment by yourself. You can set tax classes and local tax rates and they will be populated for each specific customer. The shipping calculator is available for customers on the cart page so they don’t get confused at checkout. There are many more features available with WooCommerce, but we can see that they have everything you could possibly need to run a successful online store. If you find that your store lacks some of the features, you can look for an extension in the WooCommerce app store. Any advanced feature will typically come at a price (one-time fee). Some of the most popular extensions include an automatic tax calculator and cloud-based shipping solutions. There is a good API and plenty of documentation for WooCommerce, so you can always pay a developer to build the connect for you. There is the capacity to run a few types of promotions, such as free shipping offers, coupon campaigns, and discounted options. You can also limit the number of items that someone can purchase at that discounted price or simply restrict promotions to a group of customers. OsCommerce is a very basic e-commerce platform but it offers most of the necessary features that you’ll need to run your store. You can add more functionality to your store via add-ons, but it can be a huge headache to get them to install and operate smoothly. You’ll need something to capture payments, so you will need to open a merchant account. OsCommerce supports many payment processors, including PayPal, Checkout by Amazon, and Dwolla. Inventory is reportedly tricky to manage and you won’t be able to easily scale your store and create thousands of products. OsCommerce makes SEO quite complex as it generates very long and search engine unfriendly URLs and it does not give you unique meta titles. On the plus side, the newest version brought many improvements and additions such as maintenance updates, social bookmark add-ons, and a banner manager. One thing to keep in mind is that when you update your store the system has been known to overwrite previous customisations. As mentioned, OsCommerce comes with many features and it offers more than 7,000 add-ons, including payment modules, shipping modules, and reporting. Be ready to get your hands dirty because you will have a difficult time getting add-ons to integrate smoothly. WooCommerce is the obvious winner here. It has the most features out of the box, and is also very easy to install and configure. The general theme about OsCommerce is that it is a somewhat outdated solution and can be much more difficult to configure. 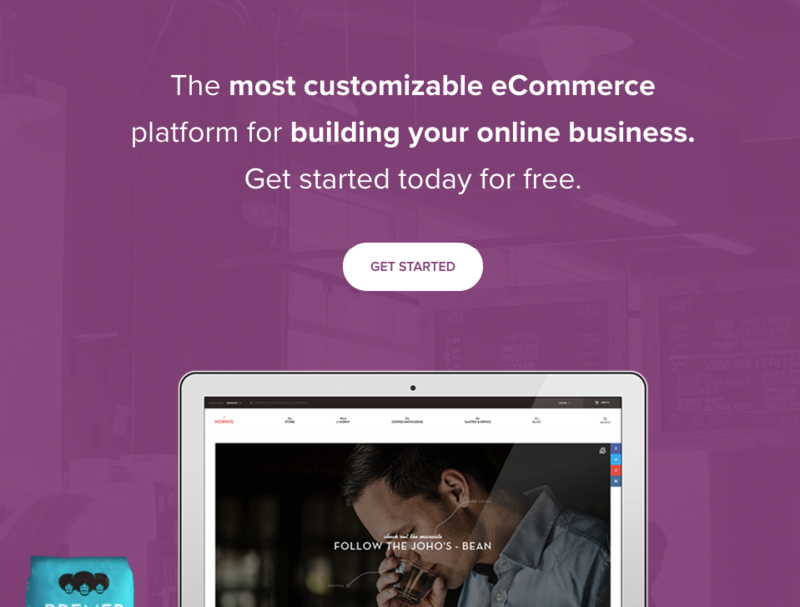 The best e-commerce platform lets you build a store that works perfectly and allows you to grow and this is where WooCommerce shines. WooCommerce offers numerous customisation options that will make your online store look and function the way you want it to. WooCommerce has everything that a business of any size needs to run a successful online store. It is used by millions of brands. There’s no limit to how much you can scale your store as it is a very stable and mature platform. 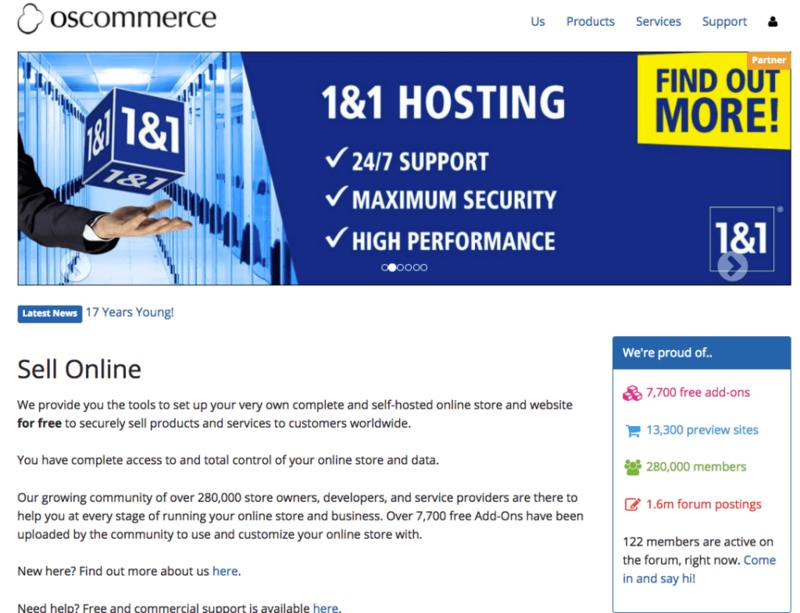 On the other hand, some things get better with age, but OsCommerce is not one of them. OsCommerce really lacks in the user-friendliness department. The setup of the store can be a nightmare for people who are not very familiar with PHP, and MySQL. It also has one of the weakest security among all e-commerce platforms. Everything about it feels really dated and design looks like something out of late 90’s. Sadly, OsCommerce had a huge potential given its long history, but it seems that their team dropped the ball many years ago.